Leren schaken voor grootmeesters in spe Strategisch leren denken, uitdagende puzzels, spannende partijen, veel speelplezier en een behoorlijke portie schaakkennis. Dit alles en meer zit in de dit bijzondere schaak avontuur. Samen met Prins Fritz en zijn nicht Bianca kan de speler in verschillende spel- en oefening situaties schaakkennis opdoen, testen en verdiepen. Waar staan de stukken? Wat is pat en remise. Wat houdt oppositie in? Wat betekent pat? Wie aan het einde zich genoeg heeft bekwaamd, kan in de grote finale met Fritz tegen koning Zwart aantreden of online schaken. Bologna, Italy (March 24, 2003)-- The Bologna Children's Book Fair is pleased to announce the winners of the 2003 Bologna New Media Prize, a juried award honoring excellence in children's "new media" products. The task this year was ambitious-- select only six winners from 2002's total entries of 538 products from twelve countries. A group of six editors and reviewers representing Asia, Europe and the United States were asked to make their selections without regard to language, country of origin, or size of publisher. Six winners were named, consisting of three "Winners," two "Citations for Excellence," and one eBook. * Number of Jurors: 6, representing England, France, Germany, Italy, South Korea and the United States. Recipients will be recognized on April 2, 2003 during the Bologna Children's Book Fair, the world's largest trade fair dedicated to children's publishing. A most innovative and child-friendly chess tutorial, this program has children moving through an adventure and series of exercises to learn the rules and strategies of the game. Use your wits, learn to think ahead, have fun and excitement AND learn a whole lot about chess: this great chess adventure has all of this and more in store for you! Together with Prince Fritz and his cousin Bianca learn how to play chess, then test and increase your knowledge in a whole range of exciting games and situations. How do you set up the board? What's stalemate? When do you call it a draw? What does opposition mean? And what's "up the stairs mate"? Find the answers to these questions and many more in animated games and contests. Tips and tricks are explained step by step. Then you can practice and test your skill in the special games and tasks. And once you've got the hang of everything, join Fritz to take on King Black in the grand finale. * Learn to play chess the fun way, based on "Fritz", the world's leading chess software. 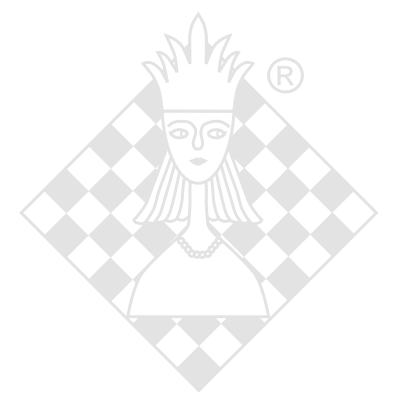 * Free 1 year full access to the internet chess server playchess.com with product registration .